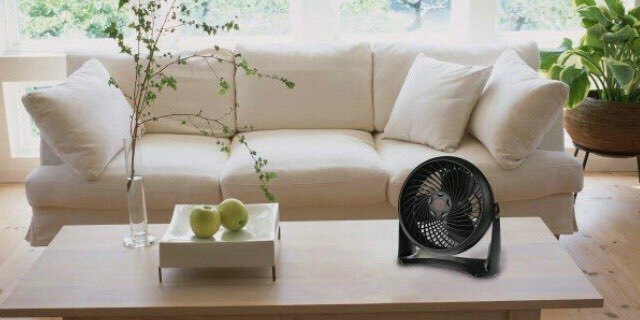 Honeywell TurboForce Fan Just $9.99 Shipped! Snag this Amazon deal to stay cool! Get a Honeywell HT-900 TurboForce Air Circulator Fan in Black for just $9.99! Normally $34.55! Make sure you have a couple of these TurboForce fans to keep your house cool this summer. Maximize air movement with the aerodynamic TurboForce design built-into each of these fans. Even though this 11″ fan may look small, it has some serious power behind it. Place it on any flat surface or you can even mount it to the wall. Plus, it is significantly quieter than similar models. Hurry and grab this great deal before the price goes back up! Get Free Shipping on orders over $25.00 or more or sign up for a free trial of Amazon Prime, Amazon Family or Amazon Student and get free 2-Day shipping!